Wayne State University. Photo by Steve Neavling. Skyrocketing rental rates in Midtown priced out lower-income residents. 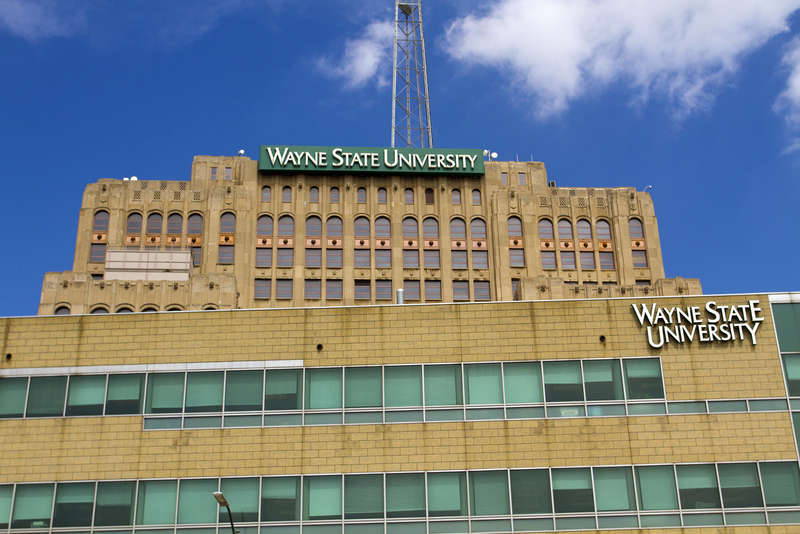 Now it’s even too expensive for many Wayne State University students. “A lot of the apartments, particularly to the south of us and east of us, serve primarily students, and their rents are going up so high because of the desirability of living in Midtown,” WSU President M. Roy Wilson told the Detroit News. Rent ranges from $750 a month to $3,150 a month. Five years ago, it wasn’t difficult to find apartments for under $600 a month. A 2017 Wayne State study found that rental rates at apartments within two miles of the university increased 8.5% from 2014-16. The study does not explore prices in 2012, when rates began to spike. A big reason rents have spiked is because of tax subsidies to the Red Wings arena and the QLine. In other words, Detroit’s municipal leaders used tax dollars that ultimately made it more difficult for residents to find affordable housing. Dozens of medical marijuana dispensaries are in danger of closing because of an Oct. 31 deadline to be fully licensed. Under new rules announced Monday, the state plans to enforce the deadline, even as dispensaries are having trouble getting their licensed processed because of bureaucratic backlogs, the Detroit News reports. So far, only 73 of the 740 dispensaries that completed their pre-qualification applications were approved by the Michigan Medical Marijuana Licensing Board. Some dispensaries are considering challenging the new deadline, saying prospective owners are being pushed out by a slow bureaucracy. Hundreds of fast food workers plan to rally for higher wages in Detroit and Flint as part of the “Fight for $15” movement. Some employees plan to walk out at fast food restaurants like McDonalds and Burger King to demand higher wages and the right to organize a labor union. The rally begins at 1 p.m. on Wayne State University’s campus at Woodward and Warren Park. From there, they will march to a McDonalds at Woodward and W. Canfield.